Hello friends, it’s Smitha here with a new blog post! 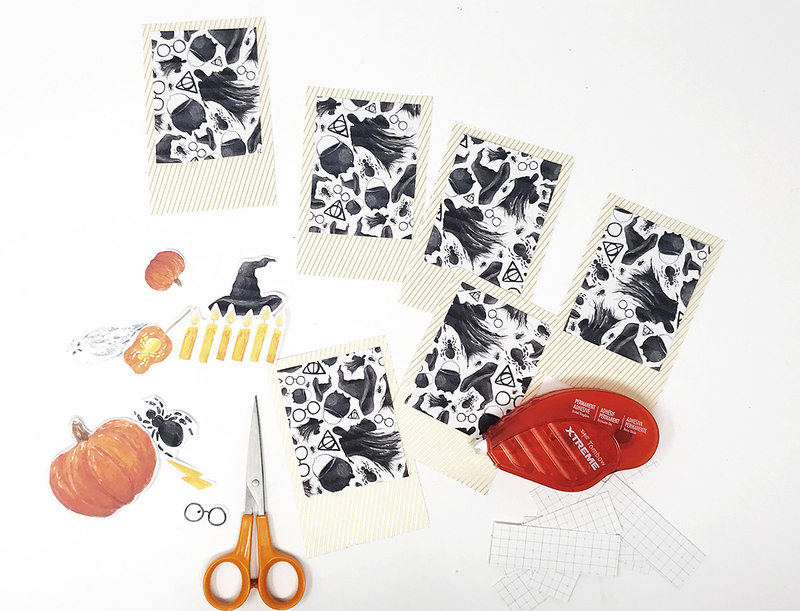 It’s the month of October and I have a quick DIY Mini Halloween Card tutorial to share with you today and all of them using PopFizzPaper digital papers. First I trimmed my cardstock (which has the pretty gold stripes) and the patterned paper to size. 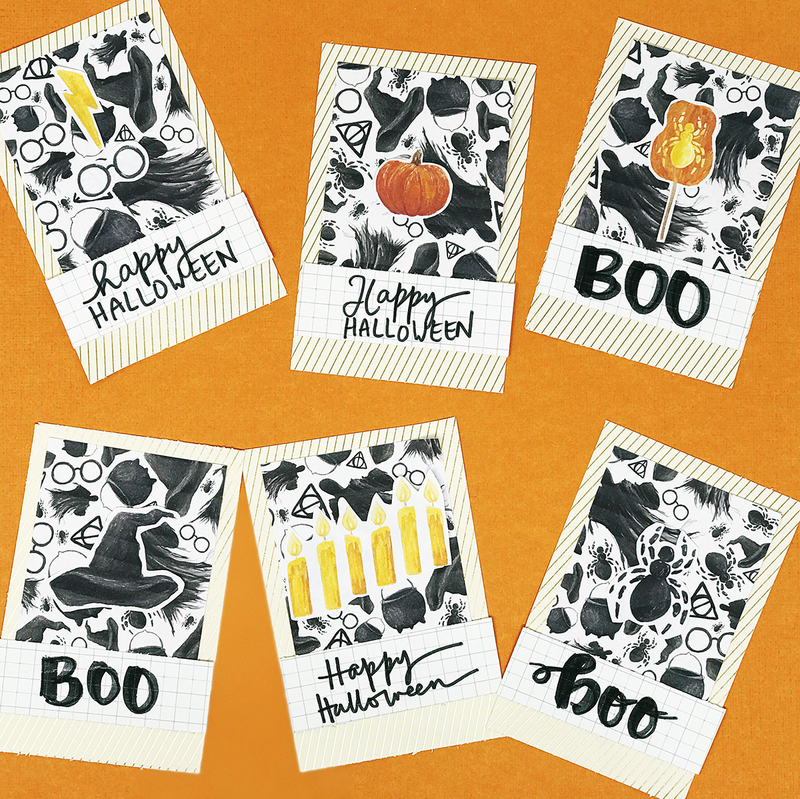 I chose to make mini cards that my kids to slip into trick and treat bags easily to add a personalized touch. Step two, I adhered the patterned paper onto the cardstock. I love the black and white Scary Harry theme here. 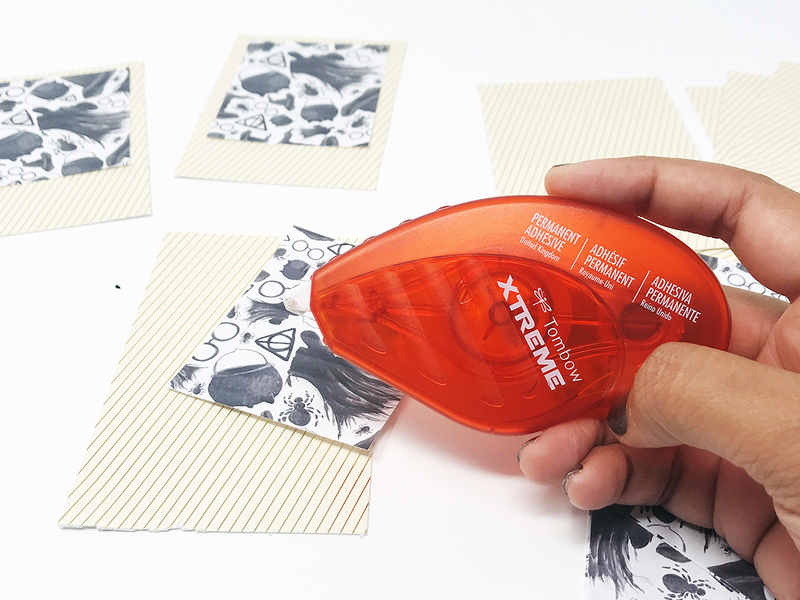 I used the Tombow Xtreme Adhesive here, but really any Tombow tape runner would work great for this. I just have the Tombow Xtreme on my desk all the time and reached for that. 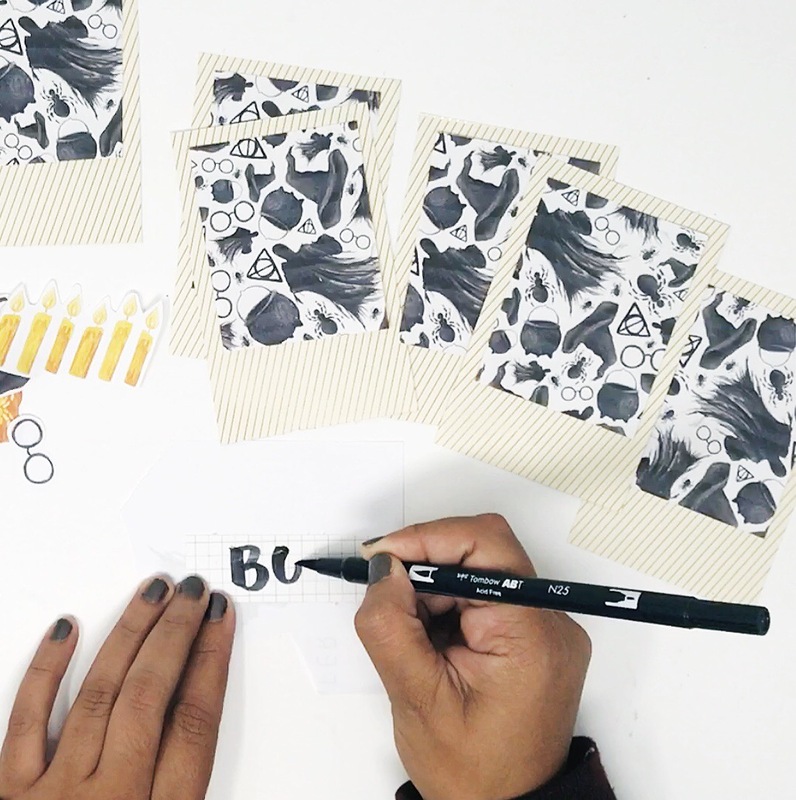 I then hand cut some of the elements to add more detail to the cards. 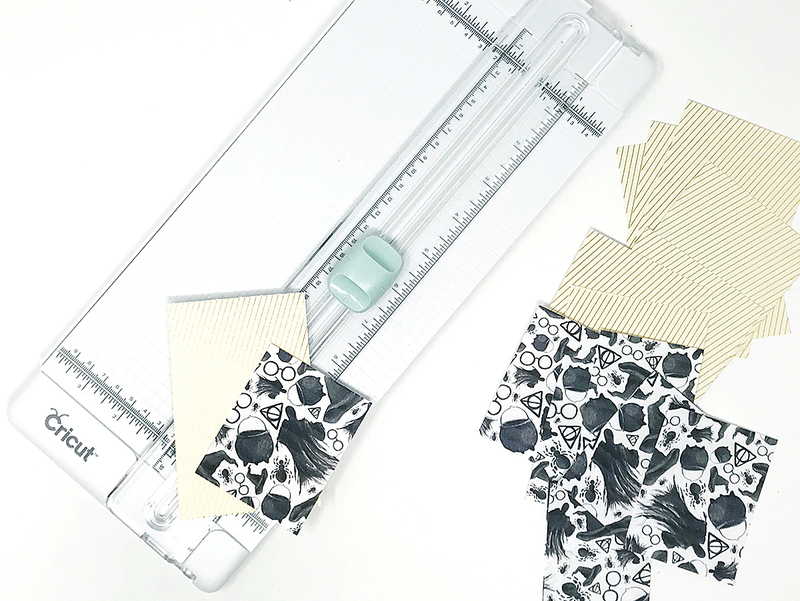 Use a sharp pair of scissors and this will go by quickly! Finally I tied all of my cards together with some handlettering. I used the black colored N15 Dual Brush Pen for this and lettered simple words like “boo” and “happy Halloween” here. And that’s it! Are you making any papercrafts for Halloween friends?